For C Instruments. Composed by Various. Fake Book. 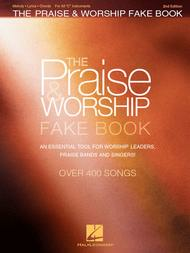 Christian, Worship, Praise. Softcover. 456 pages. Published by Hal Leonard (HL.160838). 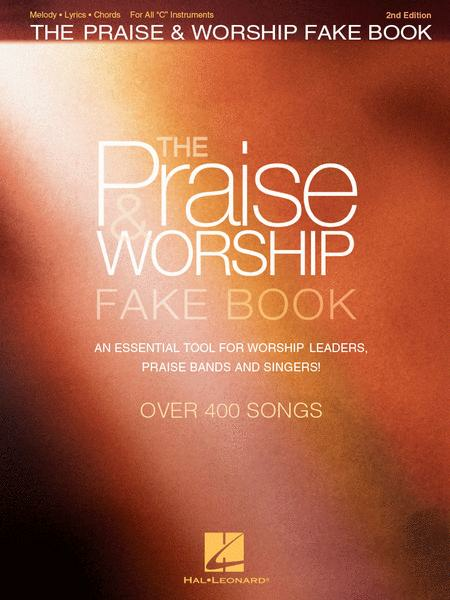 A wonderful resource for Christian musicians! This second edition includes over 400 songs arranged in melody/lyrics/chords for all C instruments. Songs include: Amazing Grace (My Chains Are Gone) • Because He Lives, Amen • Blessed Be Your Name • Cornerstone • Days of Elijah • Everlasting God • Forever Reign • Give Thanks • Good Good Father • Great Are You Lord • The Heart of Worship (When the Music Fades) • Here I Am to Worship (Light of the World) • Holy Is the Lord • Holy Spirit • How Deep the Father's Love for Us • How Great Is Our God • I Give You My Heart • In Christ Alone • Jesus Messiah • Lord, I Lift Your Name on High • Mighty to Save • No Longer Slaves • Oceans (Where Feet May Fail) • One Thing Remains (Your Love Never Fails) • Open the Eyes of My Heart • Open up the Heavens • Our God • Revelation Song • Shine, Jesus, Shine • Shout to the Lord • Step by Step • 10,000 Reasons (Bless the Lord) • This I Believe (The Creed) • This Is Amazing Grace • Thy Word • We Believe • You Are My All in All • You Are My King (Amazing Love) • Your Grace Is Enough • Your Name • and more. if more than one instrument playing. I am rating this "Intermediate" because certain skill on the part of a pianist would be required. However a beginner could follow most of the treble scores.